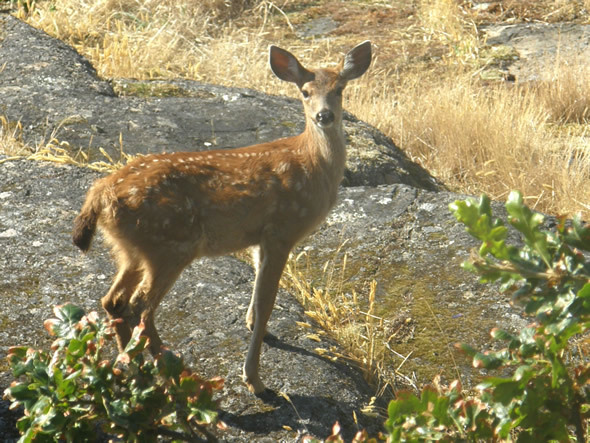 A curious young Mule Deer bids you "welcome" to this month's newsletter. Welcome to March's issue of Whispers, the newsletter of the Dereila Nature Inn - your cyber nature centre. We hope that the new season brings along wonderful opportunities for precious encounters with nature for you. Thank you for subscribing and supporting this project! 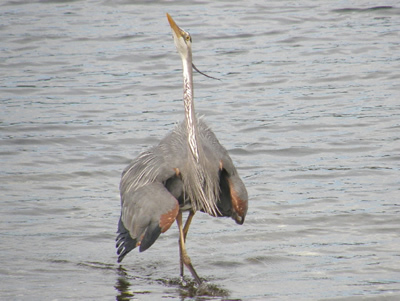 Which bird is considered by many to be a major pest in North America? This month's new additions include pages featuring mammals, a recipe and another stroll along the beach exploring marine life. Just click on the images to visit the page. In this new series you are invited meet some of the furry critters of the wilds. We have several pages ready for you to peruse with more coming in the next few months. A new recipe from our All Things Natural Restaurant for your feathered guests to try. Best served in a pine cone! Come along on another beach stroll and meet some barnacles, mussels, clams and other diverse creatures of the sea, reef and shore. 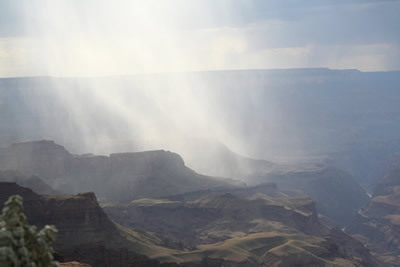 A storm coming across the Grand Canyon. A small, picturesque river taken in Colorado. It's wonderful so have such a variety of contributed photos. Thank-you! Our wandering image this month is actually a two-parter. 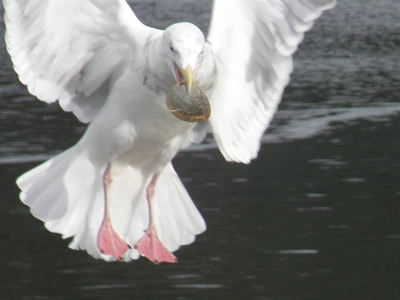 When gulls dive to get tasty morsels to eat, you may have wondered how they mange to crack open their meals. Here a gull has found something for lunch. Gulls have the opening solution down to a fine art. 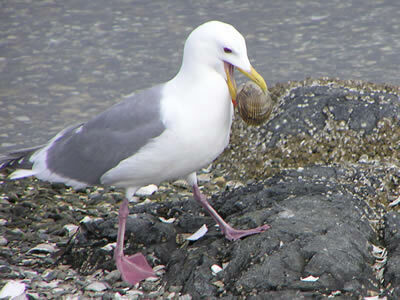 They take the shell in their beaks and then to crack it open, they drop it onto rocks or a stony beach. They may have to do this several times and also need to be very quick getting down to the shell as other gulls are usually already waiting for them to drop! This month we head to the Badlands of Alberta with some curious looking formations and structures. This is an area in south-central Alberta that was once lush and tropical and the home to dinosaurs. Today it is dry and almost desert-like. 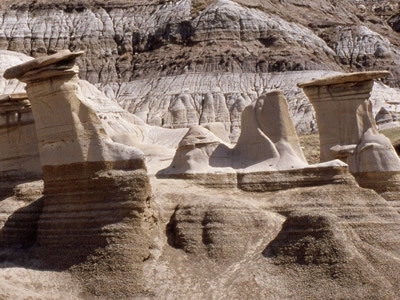 Erosion has worn away softer rocks and sediment and has created fascinating formations such as these above called hoodoos. Each month we would like to invite you to submit a funny caption to go with one of the images in our "Caption This!" collection. 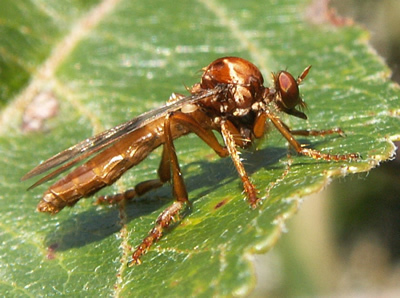 This month a Robber Fly needs help with a caption or two. We've given you a couple of ideas to get you thinking. Number one: "How much further do I have to go?" Number two: "Oh, my aching knees!" Bernie T. from Yakima Valley in Washington sent in a caption from an earlier image. "Hey guys! This is my impression of a bunny." A huge thank-you to everyone who took the time to send us their captions and ideas. This month we have another suggestion for getting some good bird pictures that you might like to try out. Take an old log from the forest and if possible position and secure it to the railings running around the deck or your bird feeding station. 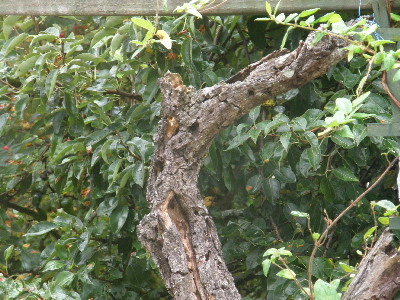 The log above has been used by the clingers and creepers of the bird world, such as woodpeckers and nuthatches as shown below. 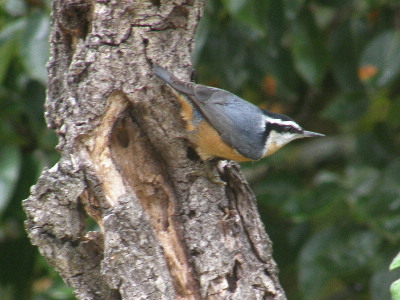 Although there is no sign of food on the log, the nuthatch searches for insects in the cracks in the wood. With a little patience, you may be rewarded with a super photograph. 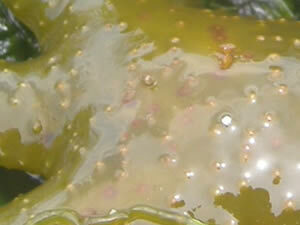 In this new feature, can you figure out what this cropped close-up is? Is it a bug, rock, butterfly or something else completely? This month's is perhaps a bit harder than the last one, so we've made it a bit bigger. You'll find the answer below. 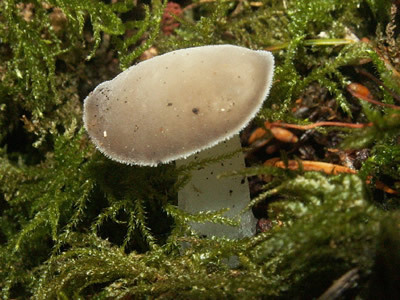 Why does the mushroom always get invited to parties? Because he's a fun guy. We had a number of people submitting images to help us complete out provincial and state wildflower page but we could still use a few more to fill in some missing spots. If you can help out with any of these, that would be great. Please e-mail us. We mentioned a few months ago that it would be a useful idea to pick a few bullrushes and save them until the spring. Well, spring is close by and that means nesting season and it's time to put the bullrushes out. 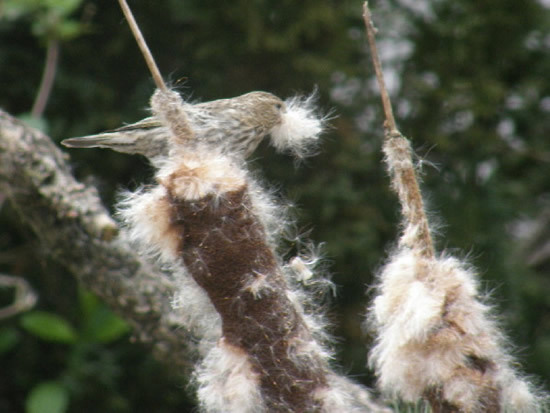 Hopefully the bullrush fluff will attract some birds as they search for some suitable nesting material. 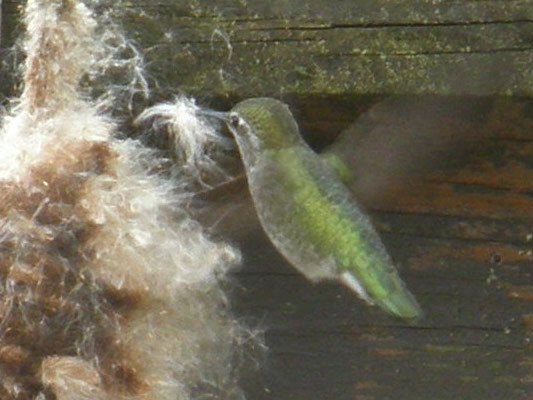 Above, an Anna's Hummingbird takes advantage of the situation, and below, a Pine Siskin. You can now add a gadget to your iGoogle hompage featuring images from the our website. It's colourful, free and easy. For more information visit the Inn's Add a Google Gadget page. Our next issue will be in your inbox during the first week of April. See you then! 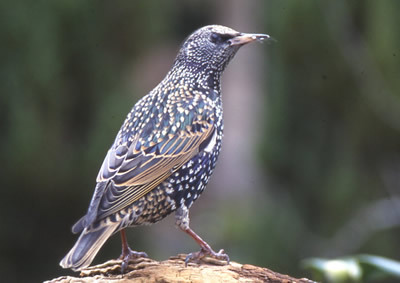 Starlings are one of North America's worst bird pests. An invasive species, they were introduced in 1890 by an American othnithologist who released 60 pairs in New York's Central Park. They're now found across the continent. 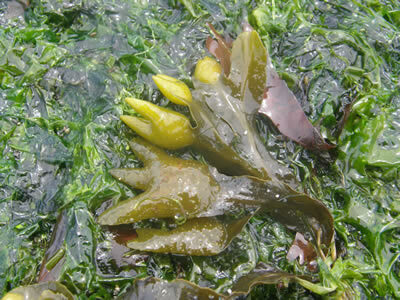 If you guessed a Rockweed, Fucus gardneri, then that's amazing! To learn about rockweeds, seaweeds and all sorts of marine life, drop by the Inn's Lagoon Trail. Until next time, best wishes from your friends at the Dereila Nature Inn - a Cyber Nature Centre for Nature Lovers.